More than two million people, including more than 400,000 children, sustain a traumatic brain injury (TBI) each year in this country. Traumatic brain injuries are responsible for more than 50,000 deaths annually. Traffic accidents are a leading cause of TBI in the United States. If you or someone you love suffers a traumatic brain injury because someone else has been negligent here in Massachusetts – in a traffic crash or in any other accident scenario – what are your rights? 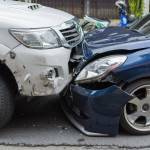 Can a car crash lawyer in Boston help? Can you be compensated for your medical expenses and lost wages? Will you need to file a lawsuit? HOW DOES TBI HAPPEN? ARE THERE DIFFERENT KINDS OF BRAIN INJURIES? TBI happens to someone when a jolt or a blow to the head unnaturally forces the brain to “crash” up against the skull. The brain’s soft tissue absorbs the impact of the jolt or blow and becomes injured. The severity and extent of the injury will depend on the severity of the impact. Penetration: Penetration happens when debris like metal or glass pierces the skull and enters the brain. Diffuse axonal injury: A diffuse axonal injury happens when brain structures are torn by an unnatural, powerful rotation of the head. Contusions: A contusion is a bruise on the brain. Contusions may require surgery. Concussions: A concussion is a trauma suffered by the brain as the result of a sudden jolt or blow to the head. 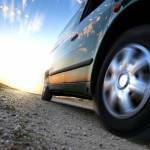 WHY IS A MEDICAL EXAM IMPERATIVE AFTER ANY COLLISION? Concussions account for about three-quarters of all traumatic brain injuries, but even a mild concussion – which is common in traffic crashes and sports injuries – can plague a victim for life with continuing medical difficulties. Not all brain injuries are apparent or detectable immediately; some traumatic brain injuries may be difficult to detect. The symptoms of TBI may include vomiting or nausea, headaches, dilated pupils, difficulty concentrating, and any experience of unconsciousness. Some brain injury symptoms develop slowly, over days or weeks. If untreated, any accident-related brain injury can become a serious medical condition. That is why you must have a medical examination after any traffic accident – no exceptions. HOW DOES TBI AFFECT A VICTIM? If you are involved in a traffic crash, be examined by a healthcare professional as quickly as you can, even if you do not feel injured and you don’t feel any injury symptoms. Quick attention and treatment can be the key to a complete recovery after a traumatic brain injury. When TBI occurs, any part of the body that is linked to the brain may be damaged. A TBI victim’s emotions, and his or her abilities to concentrate and communicate, can also be affected. TBI can cause epilepsy and increase the risk of Alzheimer’s disease and Parkinson’s disease. Documenting what happened in the accident – and the severity of the injury – is imperative. If you are injured by a negligent driver in this state, you will need the sound advice and aggressive legal representation that an experienced Boston personal injury attorney provides. WHEN ACCIDENTS HAPPEN, WHAT STEPS SHOULD YOU TAKE? Summon medical help and call the police. Ask the officers how you will be able to obtain a copy of the written accident report and when it will be available. Obtain the other driver’s name, personal contact details, and auto insurance details. Take photographs of the accident scene, the vehicle damages, and any visible personal injury or injuries. Make and keep copies of the insurance, medical, and police documents generated by the accident. Keep the copies in a secure location. Take notes and write down any details that you might forget. Personal injury claims can take time to resolve, so have some patience. Contact a Boston personal injury attorney immediately to discuss your rights, options, and the best way to move forward – which may include filing a personal injury claim. After you’ve left the scene, do not communicate with the driver who injured you, that driver’s attorney, or that driver’s insurance company. Do not even speak to them. Refer anyone who makes an inquiry about the accident to your attorney. Your doctor should determine your medical treatment. Do not allow an insurance company to decide what medical treatment you should receive. An auto insurance company may offer you a quick settlement amount that is worth far less than the true value of your personal injury claim. Do not accept any offer without first consulting your injury attorney. 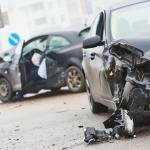 HOW WILL AN AUTO ACCIDENT LAW FIRM HELP A TBI VICTIM? An experienced personal injury lawyer may work with medical specialists and accident reconstruction experts to gather the evidence and testimony that a victim will need for a personal injury claim to succeed. Courtroom trials regarding personal injury claims are not exactly rare in Massachusetts, but the overwhelming majority of personal injury cases are settled through out-of-court negotiations. In many cases, a TBI victim will not even be required to appear in court. However, when an injury claim can’t be settled privately, a personal injury attorney may suggest taking the case to court and asking jurors for the compensation – and the justice – that a TBI victim needs and deserves. Nothing can change the past. A moderate or severe traumatic brain injury can present a challenge to the victim for the rest of his or her life. However, with the help of a reliable injury lawyer, a personal injury claim can help a TBI victim move positively and constructively into the future. 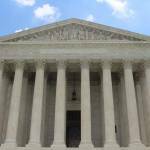 WHEN SHOULD YOU SPEAK TO A MASSACHUSETTS INJURY LAWYER? 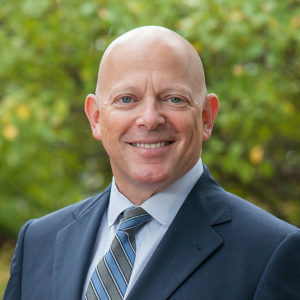 The statute of limitations for personal injury cases in Massachusetts is three years, but you cannot wait three years after a traumatic brain injury and then try to take legal action at the last minute. Don’t even wait three weeks. If you’ve sustained a brain injury in Massachusetts because another driver was negligent, speak to a good injury attorney at once. Your future could depend on it.